760 Blue is led by its founder, Matt Ahlers. Matt has particular expertise designing and implementing analytics processes and has lead major initiatives across technology, healthcare, and financial services. 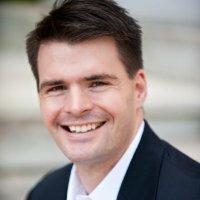 Before starting 760 Blue, Matt was a Vice President at Baltimore startup RedOwl (acquired by Forcepoint) and strategy consultant at McKinsey & Company. Matt began his career as a U.S. Navy submarine officer. He lives in Annapolis, MD with his wife and three children and is an avid sailor and runner. He holds degrees from Harvard Business School, Johns Hopkins University, and the U.S. Naval Academy.